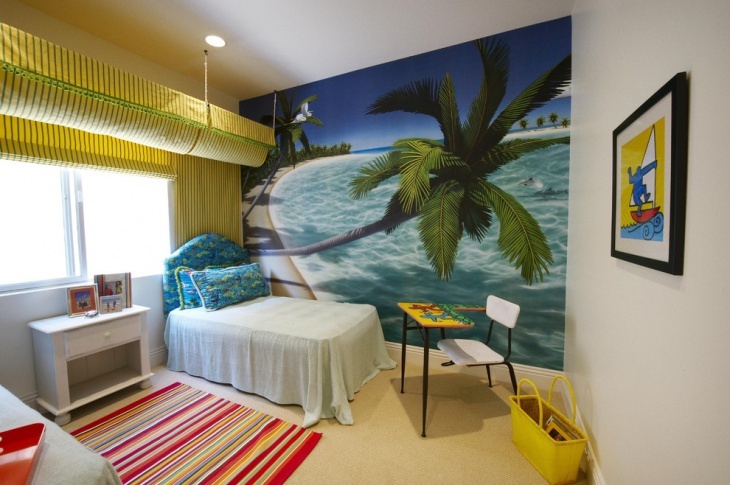 The bedrooms for kids in contemporary houses are being made with a lot of customization. 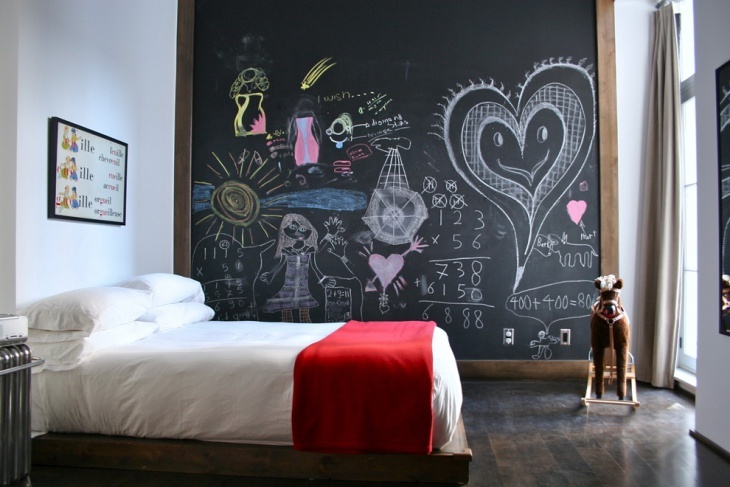 When it comes to kids bedroom wall art, the young hearts and playfulness are taken into consideration. Kids of various ages have different psychologies and aptitudes. 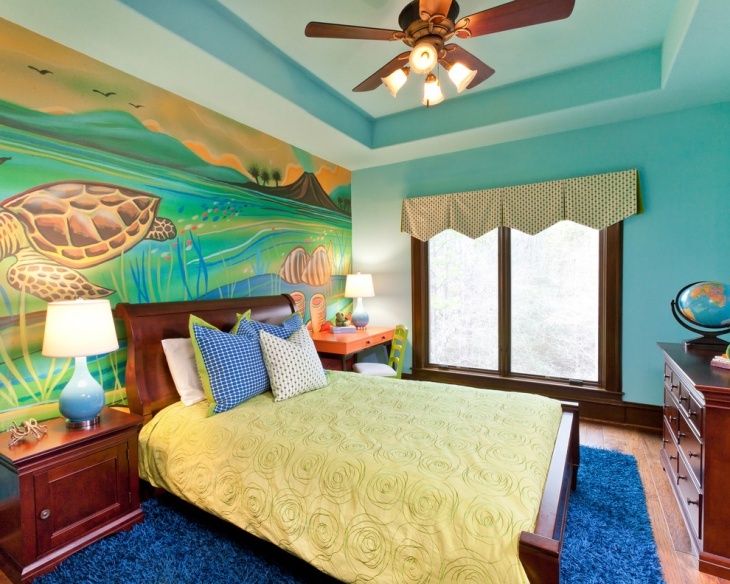 The Bedroom Accent Wall and other aspects are designed vibrantly to make the room compatible to the kid. 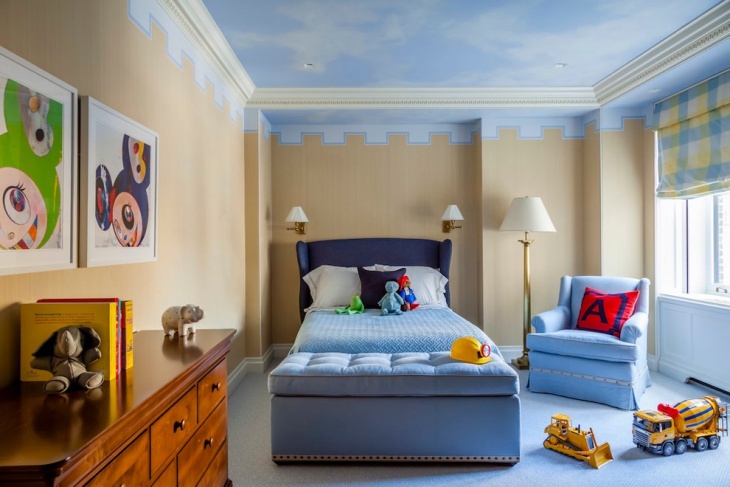 Here are ten kids room ideas that you will find appropriate for your choice, and you can incorporate any of these in your home. Sport loving kids prefer to have the images of their icons on the walls. This is an ideal wood wall art customised for the kids. This is one of the best Teen Room Designs that come with blue bedding and grey floors. Boys are fond of contrasting colour variations. The orange and grey make a good match for the pillows and other bedding accessories. The grey walls look matching with this setting. 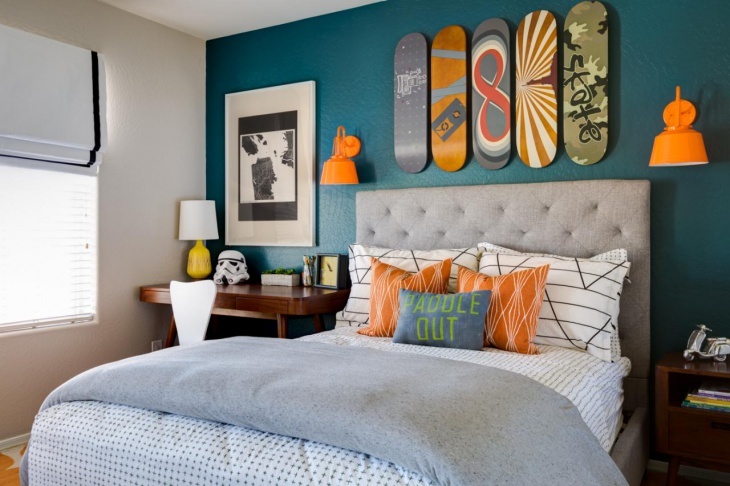 The blue wall behind the headboard is beautified using various skateboard themes. The orange lamps on beside the headboard also look matching to the orange theme. Teens having a liking towards beaches and seas love scenic wallpapers portraying their favourite sceneries. The wall murals go well with the light coloured walls and cream floors. There is a lot of natural light through the large window panels which light up the portrait on the opposite wall. Blue pillows, light bedsheet and a vibrant floor rug make the theme complete. 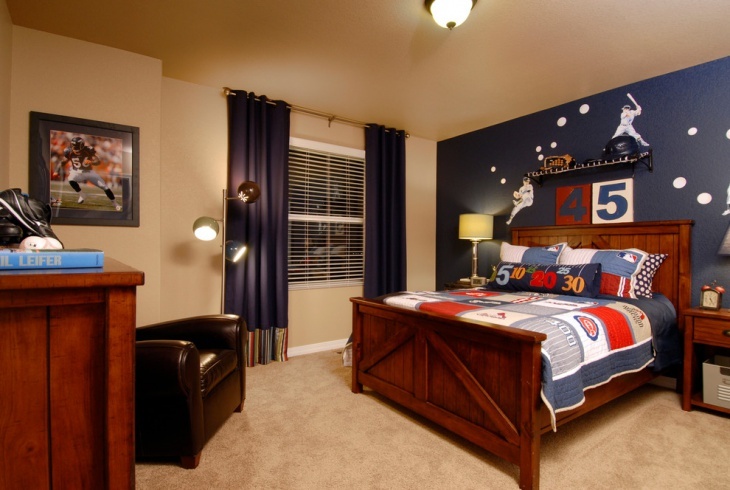 Sport-loving kids love soccer themed bedrooms. Place the bed under the window and get blue and green stripes for the walls. The giant green-based clock is placed just above the black table to make the room more gorgeous. The blue chair has the right match with the striped bed cover. The teenage boy’s bedrooms look great with a wooden bed and navy blue walls. The blue curtains are personalised for the room, with sport-themed designs on the blue walls. The wooden bed frame goes well with the cabinets and other furniture. A large leather sofa in the corner makes the room elegant. Young boys and girls are fond of flowers. The scarfed headboard is designed with floral themes, and the pink flowers on white background contrasts with the pink rug on the bed. The wood flooring of the room looks nice. Get a ceiling light with a pink floral motif for the room. Even if the bedroom for the kid is small, you can make it look conspicuous with the right use of furniture. The light wood colored bed is placed along a wall. The black-based picture on the white wall looks great. You can buy a red cushioned chair to make the right match for the room. Most of the kids are fond of cartoon. 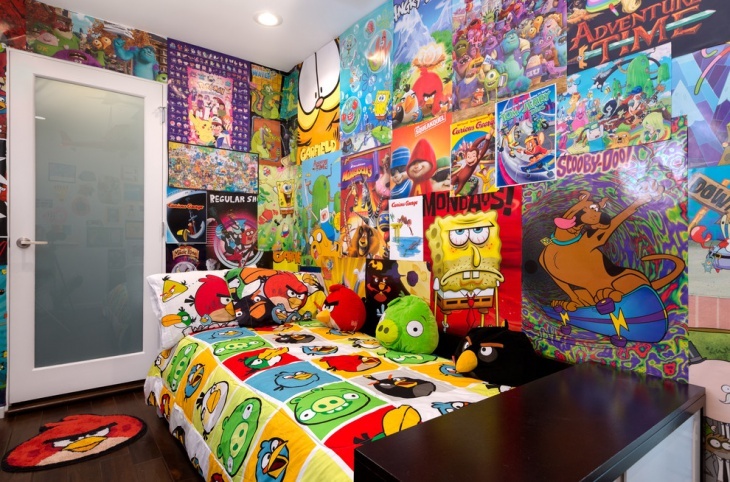 The colorful mix of cartoon characters in the wallpaper is personalised for the kids. 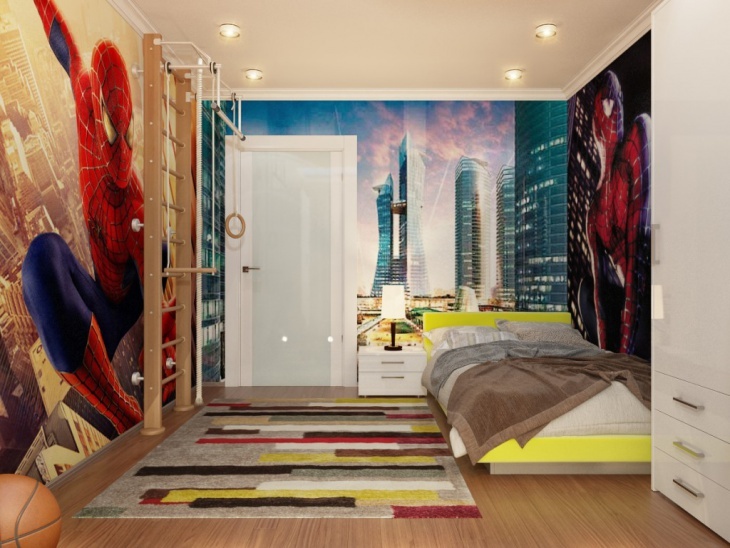 With matching cartoon designs on the bed cover, the kid will find the best bedroom to live in. the dark wooden floor is made vibrant with a red floor rug designed in the angry bird theme. 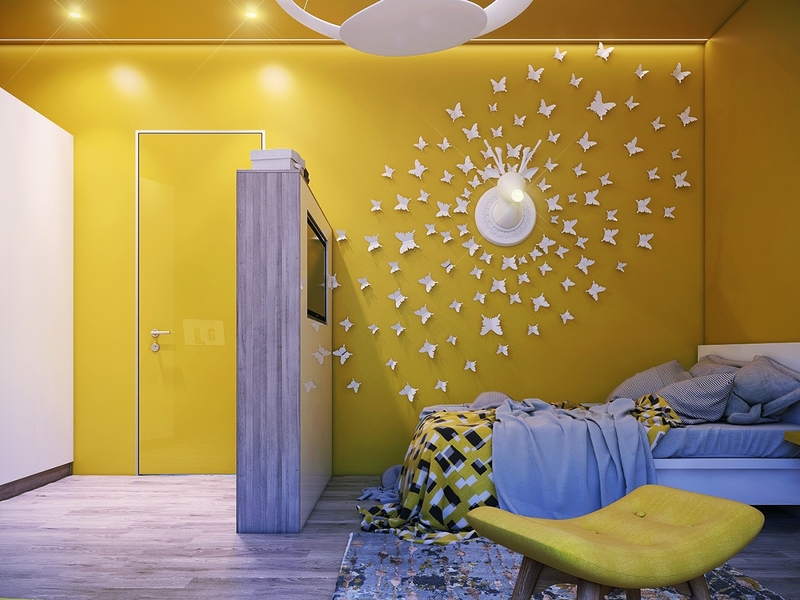 The blue and brownish yellow theme for the walls is a good combination for the walls. The ceiling is designed like the top of a fort. The light blue bedding looks contrasting with the navy blue headboard. You can incorporate a cloud-themed ceiling for the room. A well burnished cabinet creates a good compatibility with the kid’s bedroom. 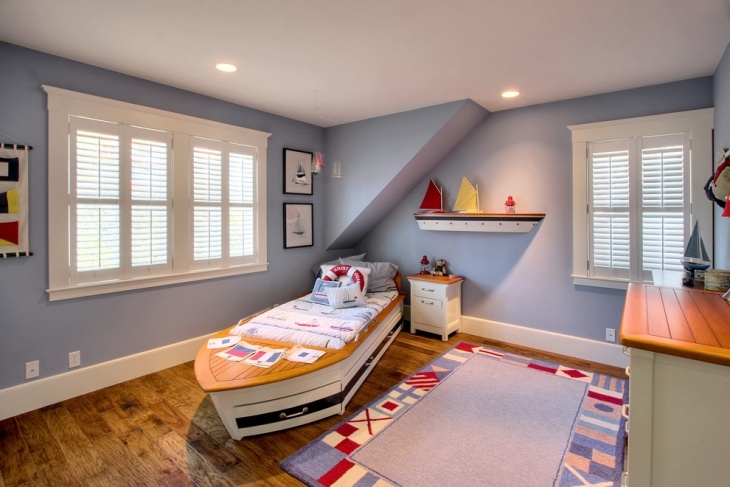 ‘Children Bedroom Designs’ can be made more innovative when you consider the needs and likings of the kids. The contemporary kids have a number of things that are close to their hearts. These may be their favorite cartoon character, sports person, flower and so on. When you tailor the kids bedroom wall art, make sure that he or she loves it dearly. You can also share your own ideas with us.